What does behavioral economics mean? 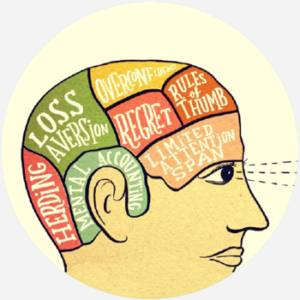 Behavioral economics studies the psychological dimensions of economic decision-making. A brand new pod! Today @Beeronomics takes us on a tour of behavioral economics, and we learn how they apply to beer. This is a good one, folks. Pull up a chair and listen to the professor. Behavioral economics has had a transformational effect on the fortunes of millions of people saving for retirement through the introduction of auto-enrollment, default plans, and "save more tomorrow" schemes. Payne and Barnett are formerly obese economists, and they guide readers in using a similar approach to the one they used to lose a collective 120 pounds in 18 months...That approach is heavily influenced by fundamental theories of economics and behavioral economics. Where does behavioral economics come from? The roots of behavioral economics lie in the 18th-century philosophies of Adam Smith and Jeremy Bentham, who examined the mental and emotional processes that influenced financial decisions. The specific term behavioral economics, however, doesn’t emerge until the 1950s, when it took form as an academic discipline. Some pioneering behavioral economists include Herbert Simon, who authored an influential 1947 study of how organizational decision-making affects finances, and George Katona, who urged the use of psychology in economics in 1951. Behavioral economics spread in the 1960–70s as economists and psychologists combined efforts to analyze the intersection of economic and social behavior. The Journal of Behavioral Economics, the first on the subject, appeared in 1971. In 1979, psychologists Amos Tversky and Daniel Kahneman introduced the influential behavioral economic concept of Prospect Theory, which argued that economic decisions (e.g., spending, saving, investing) aren’t purely motivated by logic but also by emotion. Principles of behavioral economics came into the mainstream in the 2005 with best-sellers like Steven Levitt and Stephen Dubner’s Freakonomics (2005) and Malcolm Gladwell’s Blink. In 2017, Richard Thaler, one of the founders of the important behavioral economic concept of Nudge Theory, won the Nobel Prize for Economics. Forms of his nudge theory—which argues desired behavior outcomes can be effected by giving people small nudges as opposed to demanding drastic changes—have been notably implemented by former British Prime Minister David Cameron and President Barack Obama. Principles of nudge theory have also become popular “productivity hacks” in mainstream work and self-improvement culture. Behavioral economics is used in academic contexts and is familiar to economists, psychologists, their students, and related professionals such as political scientists and policy experts. While a formal discipline, behavioral economics is increasingly familiar in popular media such as National Public Radio and Forbes, in part due to the public intellectuals like Dubner, Gladwell, and their various books, speeches, and podcasts. Common concepts from behavioral economists include Prospect Theory and Nudge Theory, as noted, but also the Marshmallow Test and Temptation Bundling.